One of the most challenging problems facing contemporary archaeology concerns the operation and diversity of ancient states. This volume addresses how ancient states were structured and how they operated, an understanding of which is key to our ability to interpret a state's rise or fall. Archaic States presents new comparative studies of early states in the Old and New Worlds and identifies important avenues for research and discussion in the decades ahead. 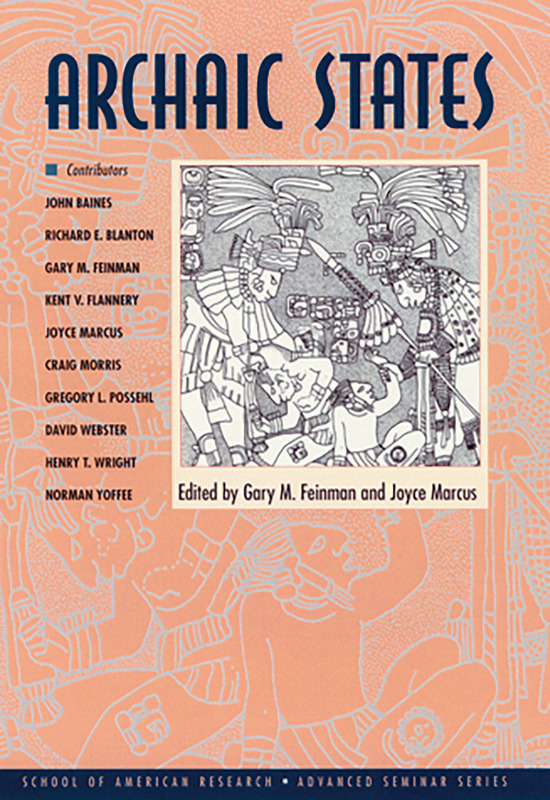 Among the themes addressed are the scale, size, and organization of ancient states; state typologies and corporate political economy; the ground plans of buildings in archaic states; strategies of state expansion; the incorporation of autonomous polities in the state and their subsequent governance; evidence of order, legitimacy, and wealth; warfare and status rivalry; and the political and social complexity of states. With essays on the Near East, India and Pakistan, Egypt, Mesoamerica, and the Andes.